It's time to start initial thinking about December Daily® for 2017. 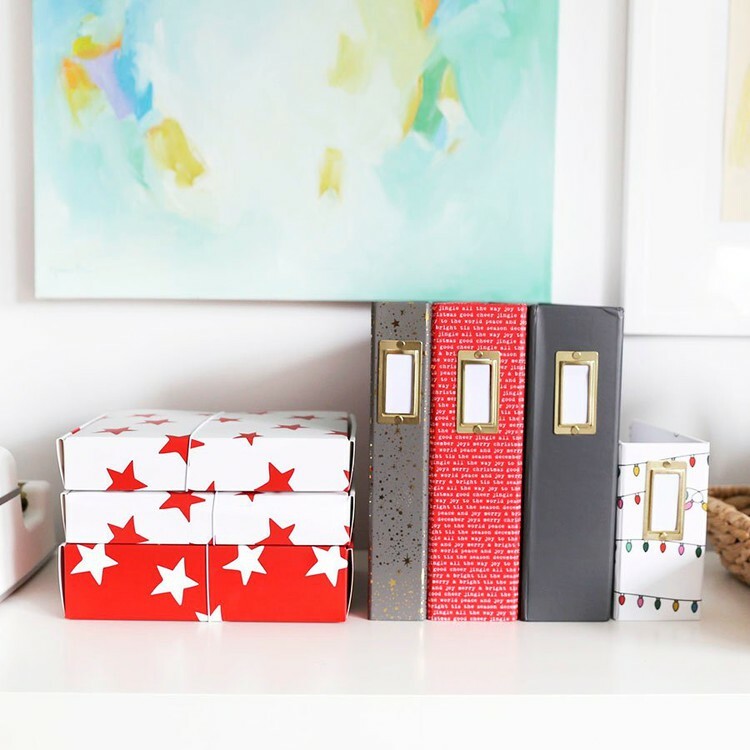 It's definitely not time to bring out your Christmas stuff (unless you really, really want to but man I am so not ready for that) but it is time to start thinking about how you want to document your holiday season. Around here we start that off by sharing new December Daily® products right around the first of September. 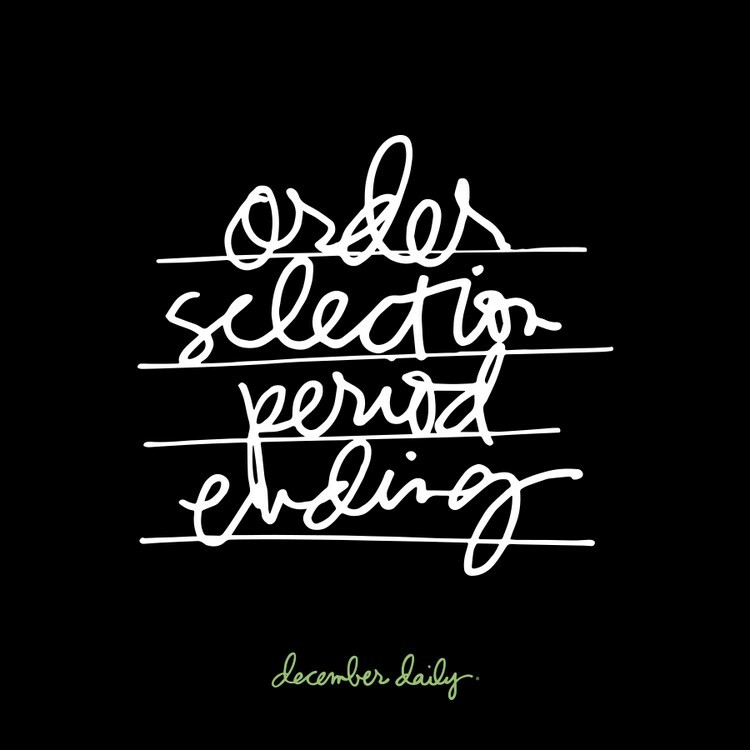 Last year we changed the name of this ordering time from "pre-order period" to "Order Selection Period." There was some confusion in the past regarding "pre-order" and what that meant when products sell out. In keeping with our goal of clear communication we hope that changing the name will help make it more clear that when things sell out they are likely gone. The production timeline for these products began in early 2017 - for us that means design, production, manufacturing, etc. - and we make every effort to order in quantities that will meet demand but that are also responsible business decisions (and some of those things are tough to predict). Thank you for understanding. This week we are releasing some First Looks at a few of the product offerings for this year. You can check those out here. I will also be doing a Facebook Live on Thursday, August 31st at 2:30pm PDT in the December Daily® Facebook Group sharing a closer look at some of the products. If you aren't available during the live recording it will be available for later viewing. This year we are so excited to be bringing you a variety of kits and products to help you record and celebrate your December stories no matter how you choose to approach the documentation. On September 6th at 10:30am PDT the order selection period will begin (kits + albums + other add-on products). You will be able to locate the shopping page under the December Daily® 2017 menu at the top of this page. Products are available on a first-come, first-served basis and are limited. The selection period, where you can add products to your December Daily® box, will be open until September 30th. Review your order and click "Confirm Selection." At that time your credit card will be charged for the items you added to your box. Throughout the month of September you can add more products to your December Daily® box (your card will be charged each time you click "Confirm Selection"). For example if on 9/6 you select my kit + Jasmine's kit, you will be charged for those two kits at that time. If you return on 9/10 and add an album and a stamp set to your box you will be charged for those items at that time. Once shipping begins in October, we'll pack everything up and send it to you. December Daily® digital products for this year including the kits (cards + embellishments that translate to digital products), layered templates, and other products will be available for sale on October 16th (time TBA). This year we will be offering two workshop options for those looking for additional inspiration and encouragement. The first one will be a new workshop called December Daily® Product Play. This self-paced workshop will be a fun look at different ways to work with and tell stories with the December Daily® products we are offering for 2017. This workshop is designed to show you different ways to play with the products either before or during December. More details to come. I will continue to share the process of my foundation pages and my daily pages on my blog as always. We will also be offering my well-received foundational workshop Storytelling With December Daily® again for those of you who may have missed it in the past. The main content of this workshop will be the same as in the past since it is a deep-dive into my processes and inspirations and storytelling ideas for the project since I first started. It includes video walk-throughs and in-depth discussions of most of my past albums and the way I told stories in each one. This workshop is not about working with any specific kit or product and includes overviews of my albums through 2015. If you are brand new to the concept of December Daily® you can check out all my past projects here. You can also check out all my past blog posts sharing my foundation pages, processes, stories and more in my archives here. So excited for this project again! Memory keeping has become so much easier since I have started to focus on the stories instead of just on the photos themselves. Thanks for all you do, Ali!! So excited to see this! My 7th year doing a DD and I love it more each year! So excited for the kids kit. Last year, I got one of the mini-kits for my daughter in which she liked some of it but not all of it so I think she'll love to participate with a kit geared to her. Thanks! Awesome! The girls here are so excited too! Just to confirm. If I'm a domestic customer and I purchase less than $99 on my first order, I will be charged for the items themselves but not the shipping? And then if later in the ordering period I buy more that takes me over $99, then I wont be charged any shipping for any of the products I bought (even the ones from previous orders)? 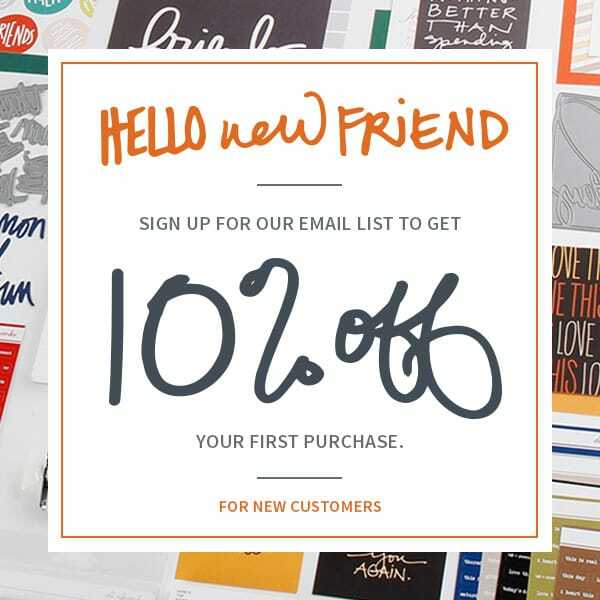 Yes, you have until the 30th to get your box over the $99 threshold for free shipping. Each time you click "confirm selection" your card will be charged for the products you have placed your box. Shipping charges, if there are any, will not happen until we actually ship you the product. Ali, I know you give many ideas for capturing December ... could you offer ideas for those of us who celebrate a quiet Xmas? No kids, no work related celebrations ... just quiet and reflective ideas? I have been trying to do this successfully for 3 years and end up with few pictures and almost no fun. I think I am missing something, but keep trying! Any help is appreciated! Hi Laurie_Anne - one of the first things that came to mind as I read your question was the "almost no fun" part. Fun and holiday magic is something we have the ability to create for ourselves - maybe you can use this project as the jumping off point to have some fun :). 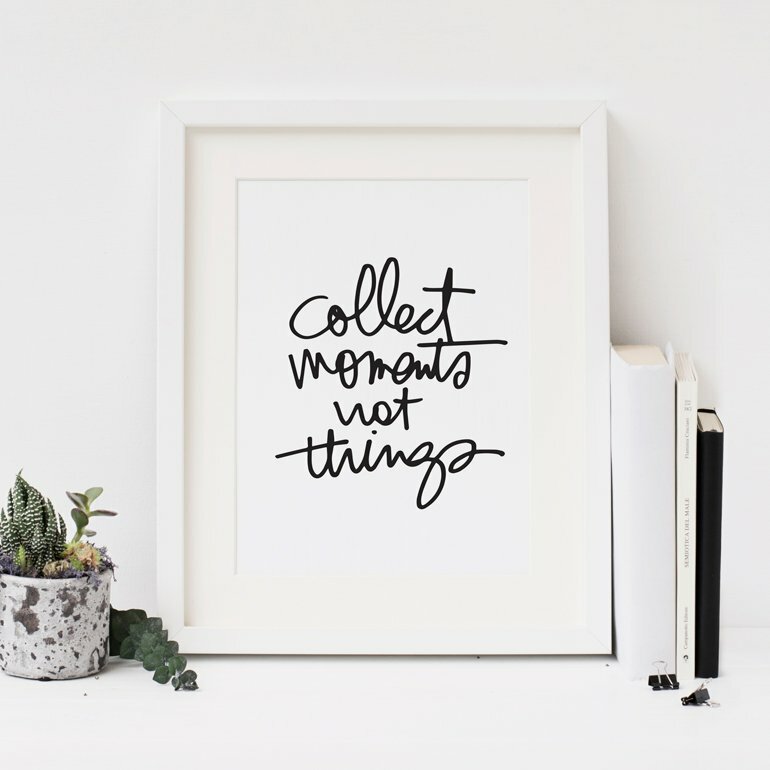 I also think this project, like many of my projects, gives you the opportunity to value your life - to look for all the good stuff (the small stuff + the big stuff) and to write it down. Do you find yourself comparing your story to others stories? That might be part of what's happening for you - celebrate your life. You absolutely don't have to do 25 days but you can if you want to and you can make it a project to both CREATE and CAPTURE the magic that you make for yourself this holiday season. I was married for 16 yrs and we didn't have kids, just pets, and most years we didn't even bother to put up a tree. During all those years I scrapbooked and one time at a crop I had someone ask me, "If you don't have kids, what do you scrapbook?" That made me feel sad and out of place, but now I know and realize that EVERYBODY has a story tell. 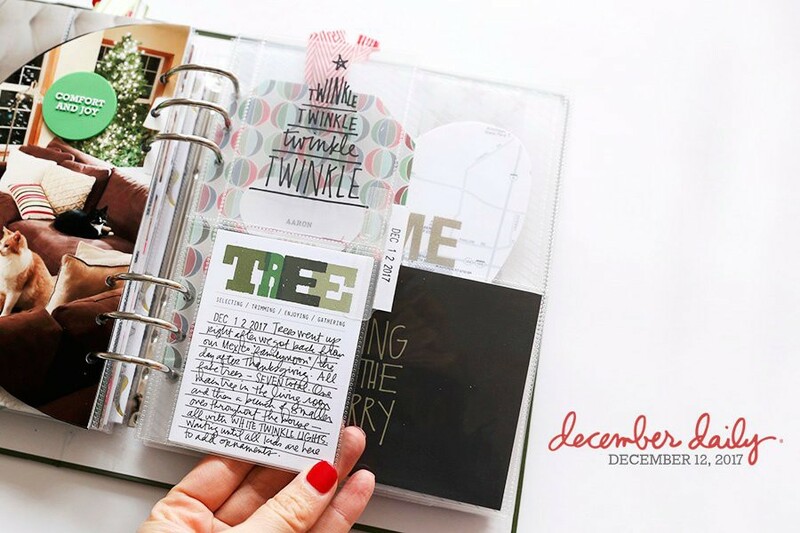 My DD ends up being an extension of project life, daily documenting with some holiday paper thrown in and an occasional holiday related picture/story. 1) I suggest doing a photo prompt based December Daily. There are ideas on Pinterest for 'photo a day' type prompts. Countless lists for you to use as jumping off points. 2) Since its the season of giving set a challenge to 'give' something each day and write/photo about it. Make it small/doable, like leaving a surprise note of encouragement for a friend/coworker/family member. Make a holiday treat for coworkers and document what you made and how it was received. Question about items I will put in my box: I know I can add items until the end of Sept, but can I also remove items during the selection time without my credit card being charged? Thanks! Once you click "confirm order" you are charged for the items you have added to your box so you can not remove them once you have clicked "confirm order." Shipping cost, if it applies to your order, will be applied at the time your products ship. Yay! I've been looking forward to this. I really like the idea of the kid kit. My daughter (age 4.5) loves my memory keeping supplies but sometimes gets a little frustrated that I only give her things once I'm done with them. Getting a kit all her own to open up and play with would be so much fun. So excited for December Daily 2017... love how your products inspire storytelling and capturing the moments of December! I am not on Facebook, so all ideas, links, stories, videos, etc that are available on your blog or Instagram account are greatly appreciated!!! Yes! We are planning to try to make sure we give access across multiple social channels :). It's beginning to look a lot like Christmas!!! Can't wait Ali! Any chance you will cross post the video from your Facebook live? As someone who isn't on Facebook, it is frustrating to have information shared only in a private group. Putting it on a public page like the AED one or here on your blog would be a nice gesture for your loyal customers who have chosen not to participate on social media in that way. Yep! Absolutely - already planning on that. We will post to YouTube and my blog as well! Thanks Ali for considering all of us not on Facebook-it's greatly appreciated ?Looking so forward to another awesome season!! !